Clemency is a difficult process on both ends. It’s difficult for applicants to get recognized by the President. And for the President, it is nearly impossible to consider each and every clemency petition. The Pardon Attorney Office exists for these reasons. The Office helps the clemency application and approval process. While the President has exclusive power to grant clemency petitions, the Pardon Attorney manages each petition leading up to the President’s approval. Doesn’t The President Have Absolute Pardon Power? Yes and no. The Department of Justice gained some clemency authority in 1893. This power includes clemency petition processing and advising the President. So, while the President has ultimate authority to use his pardon power, the Pardon Attorney’s office receives, reviews, and investigates every clemency petition before the President ever sees the applications. The Pardon Attorney Office effectively determines who is allowed to be pardoned. Where Did The Pardon Attorney’s Office Come From? In 1893, the President signed an executive order granting the Department of Justice power to manage administrative and public relations tasks for all clemency matters. Now, the Pardon Attorney’s Office handles receiving, processing, investigating, and recommending applications for clemency. What Is The Pardon Attorney Office and How Does It Influence the President? As mentioned, the Department of Justice has assisted the President in executing his clemency power for over 100 years. This Order transferred the power to review clemency petitions and all advisory functions to the Department of Justice. The pardon attorney now reviews all federal clemency requests and petitions before the President. The Pardon Attorney Office’s influence over the President has been called into question because of this authority. Only the individuals selected by the Pardon Attorney’s Office are forwarded to the President. If the “Standards for Considering Pardon Petitions” are not met, then OPA has full authority to deny a request. This can happen (and commonly does) before the President even knows an application has been submitted. This is why it is important to hire a qualified attorney. 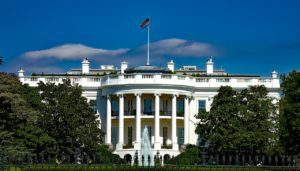 Failure to include important information, submit a petition at the right time, or even understand the next steps can seriously jeopardize an applicant’s chance of making it in front of the President. Who Is The Current Pardon Attorney? Since 2014, Larry Kupers has been the acting pardon attorney. What Exactly Does The Pardon Attorney Do? The pardon attorney does a few things. From conducting investigations to handling public relations, the Pardon Attorney’s main focus is to assist the President. First and foremost, the Pardon Attorney’s Office assists the President in deciding which clemency application to grant. In recent years, the Pardon Attorney Office has come under fire. Most notably, perhaps, was with President George W. Bush’s pardon attorney, Ronald Rogers. Rogers supposedly misrepresented the facts of an application submitted by Clarence Aaron, who was serving a triple life sentence for a drug-related charge. Rogers advised President Obama to deny the petition, even though the judge and prosecutor supported granting the pardon. Common cited reasons in protest of the Pardon Attorney Office are that it is understaffed and politically motivated. The need for a strong petition is greater than ever. That need, however, can’t be met without a strong attorney. Without counsel, it is much more likely that a petition will be denied or tossed out. Call us today at 802-444-4357 for help with your clemency petition.